A DAD who first raised the alarm about the Grenfell Tower inferno has been identified, as the death toll climbed to 17. Behailu Kebede, an Ethiopian mini-cab driver, alerted his neighbours after flames took hold of his fourth floor apartment in London in the early hours of Wednesday morning, The Sun reports. When asked by Mail Online about the fire, he said: "I am very upset." Maryann Adam, 41, who lived at number 14, told Mail Online that Mr Kebede banged on her front door to tell her about the fire. Mr Kebede friend's, Eshete Meried, said the 44-year-old taxi driver escaped the building but was still in shock. "Behailu did raise the alarm, that is what I am hearing," he told Mail Online. "He is fine but he is not in a position to talk about anything right now. I understand that he in a temporary shelter, staying with friends." Mr Kebede, a father of one, has reportedly spoken with investigators. Local media reports the fire began in Mr Kebede's apartment, sparked by a faulty fridge, but this has not been confirmed. The Sun reports more than 100 residents at Grenfell Tower are feared dead, with the fire chief on Thursday saying it would now be a "miracle" to pull anyone out alive. The search for victims who perished in the deadly London apartment blaze "could take weeks", according to fire chiefs. London Fire Brigade commissioner Dany Cotton said the significant damage to the upper floors of Grenfell Tower meant that specialist search dogs would do a search there first "because they are lighter and can cover more ground". Met Police Commander Stuart Cundy said: "It would be wrong and incredibly distressing to give a number [of the missing]". It comes as the death toll has climbed to 17, with more than 50 still missing and 37 in hospital, 18 of those critical. The number of victims is expected to rise. A Syruan born refugee who fled to London to live a better life has been the first named victim of the Grenfell Tower fire. Mohammad Alhajal, 23, is said to have lived on the 14th floor of the tower block with his brother, Omar, 25. Mohammad was reportedly trailing his brother, who is alive, down the stairs when the fire broke out on Wednesday morning, but was overwhelmed by the heavy smoke and returned to his flat, where he became trapped. Friends said he sent messages to people at home in Syria, saying "The fire is here now, goodbye". Omar, a business student, made it out alive and is reportedly recovering in Kings Cross hospital in London. Abdulaziz Almashi, a friend of the family and co-founder of the UK-based Syrian Solidarity Campaign, confirmed Mohammad's death, and said family were mortified when they received his messages. "He sent a message to family in Syria in his final moments just saying 'the fire is here now, goodbye'," Mr Almashi told the Telegraph. The local Syrian community held a vigil for him on Wednesday night. One wrote a message encircled in a heart, which said: "You are in our hearts Mohammad Alhajali, wherever you may be". A friend from the Syrian community wrote on Facebook: "He had escaped death from Syrian and came to the UK to find a new life. But God had bigger plans for him." The brothers left Daraa in southern Syria - the centre of the revolution against Syrian president Bashar al-Assad - three years ago to live a better life. Meantime, fears were raised about the safety of the Grenfell Tower block just days before it was gutted by flames, it has been revealed. According to London's Daily Telegraph government ministers knew as far back as 1999, the risks associated with the cladding that was attached to the building as part of a recent refurbishment. Experts told the publication that the cladding - which is used to insulate the building - could act like a "chimney" allowing fire to spread upwards through buildings. Former chairman of the Kensington and Chelsea Tenant Management Organisation - which manages the building - Reg Kerr-Bell stood down from the group a few years ago over safety concerns. Just two days before the blaze Kerr-Bell said he spoke to a former colleague about their fears. "This is a scandal," he said. "This is one of the biggest scandals in the country and it could have been avoided. "We felt there was a disaster waiting to happen and we were going to have a meeting with the MP so that we could put these concerns to them." George Clarke, a well-known TV presenter and architect who lives 50m from the Grenfell Tower building said he couldn't believe how quickly the fire caught hold. "I've never seen a fire spread like that in a building in my life," he said. "I don't care what anyone says, there's no way that fire should spread that quickly on a newly refurbished building. "I saw those cladding panels, the cladding on the outside and the insulation was just peeling off, like you'd peel a banana." Firefighters are removing bodies from the building amid fears the death toll will rise following the devastating inferno. Authorities have confirmed 17 people perished after the massive blaze tore through the 24-storey tower yesterday, with witnesses reporting terrified residents had leapt from the building and dropped their children in a desperate bid for survival. The cause of the fire is under investigation, but one witness said it was started by his neighbour's fridge exploding on the fourth floor. The cladding fixed to the building as part of a recent refurbishment which cost £8.6 million (A$14.5 million), may have fuelled the fire. As smoke continued to billow from the gutted building, which dates back to 1974, survivors voiced anger over longstanding safety fears at the residential apartment block, which was home to between 600 and 800 people. The cladding used in the tower is believed to be similar to that found partly responsible for a Melbourne apartment fire. And an audit last year found more than half of Melbourne's surveyed buildings contained highly flammable cladding. "There are now 12 people that have died that we know of," police commander Stuart Cundy told reporters at the scene, before the death toll increased to 17. Sisters Mirna, Fatima and Zainnb, and Mariem Elgwahry, 27 and Nadia Choucair are among those missing. The alarm was raised just before 1am Wednesday (10am Wednesday AEST) and within an hour flames had engulfed the entire block of 120 flats. Some 16 hours on, pockets of flame were still burning inside, and fire crews had reached the top. 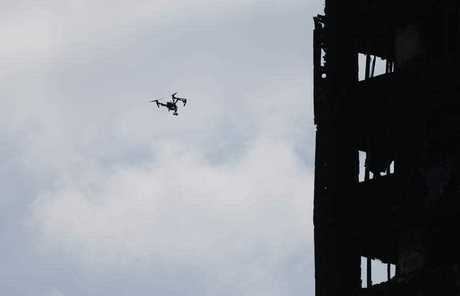 They had used drones to examine the upper floors. Many referred to the aged tower as a "death trap". "I saw people jumping out of their windows," Khadejah Miller, who was evacuated from her home nearby, said. Adi Estu, 32, who lives nearby and took refuge in a church with her husband and nine-month-old son, said: "I saw people flashing their lights for help, families flashing their mobile phones like a torch. But the smoke covered them. We saw them dying." "Loads of people haven't got out," the 55-year-old said. 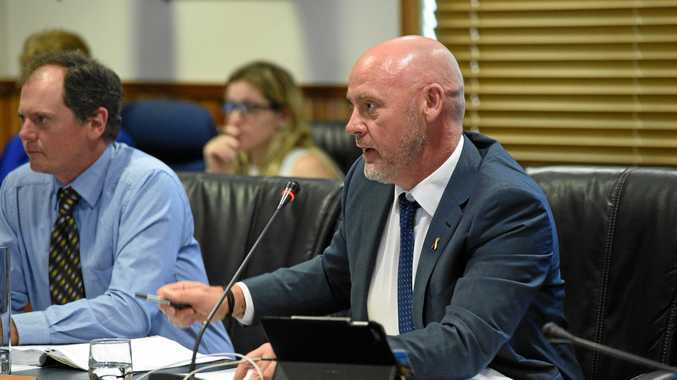 He said residents had complained for years about mismanagement of the block, saying he had warned that "one day there will be a catastrophic fire and that will hold these people to account". "This is mass murder and these people need to be put into court," he said. Prime Minister Theresa May said she was "deeply saddened" by the situation and has called an emergency meeting to co-ordinate the response to the fire, which comes just 11 days after eight people were killed in a terror attack on London Bridge and Borough Market. May has promised a "proper investigation".